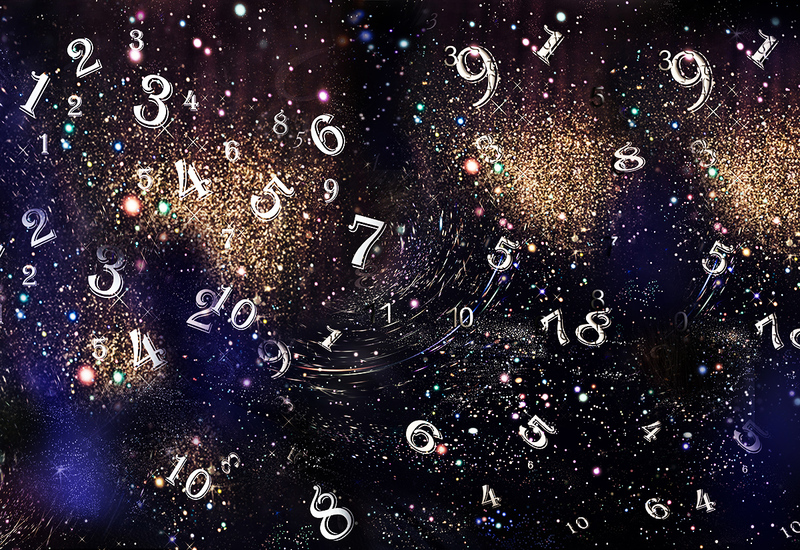 Numerology, for those who might not know, is basically the study of numbers in your life. You can learn a lot about yourself through the numbers associated with you or the numbers you notice on a daily basis. The day you were born holds a number on its own and that number can reveal a lot about you as a person. While you might not think much about it, looking into these kinds of things can really help you to better understand who you are. What number of the month was the day you were born on? Take a look below to see what category that might have you falling into and what that makes clear in regards to you as a person. You are a wonderful leader. You are very driven and on the path to success. While you do find yourself frustrated more often than not, you do get things done either way. You are one of the most ambitious of those around you and it really stands out. You are a very unique individual. You are quite sensitive but still very intuitive and always do your best to stay aware of the things going on around you. You are a great team player and love being able to do things without having to be in the spotlight. You are a very kind and caring person who really holds his or her own. You are a very artistic person. You love to be creative and show off your talents. That being said, wasting time is something you struggle with. As a very charismatic person, you come off as a bit much to a lot of people. You are the kind of person that gets things done no matter what. You are very responsible and love to achieve your goals. You are not the kind of person to let anything go to his or her head and remain quite grounded overall. You are the kind of person a lot of people look up to. You are a very adventurous person. You go out of your way to try new things and are always willing to take risks. You are not the kind of person that wants to be tied down. You are a very responsible and kind-hearted person. You are able to see things from all perspectives and seek harmony more-so than most. You are a hard worker but also the kind of person that loves to have fun. People really enjoy your presence. You are someone that loves to think, you have deep conversations just about everywhere you go and you always find the most unique people to surround yourself with. You are a very rational and philosophical person. Not much gets by you. That being said, this does leave you a bit disconnected from your emotions. You are a talented person that loves to take on new challenges. You are always pushing yourself to new heights and overcoming obstacles. You are a very interesting force to be reckoned with. You are a very open-minded person. You do not judge others and are very present in the lives of those who matter to you. You are always going out of your way to be there for people who need you and you care deeply about the world itself. That being said, you struggle with forgiving others. You are always trying to be as independent as possible. You like to do things on your own and never want any help. You tend to become quite stressed with even the smallest things but do continue to hold your own. You can be quite stubborn. You are quite the possessive person. You tend to be very inspiring but also try to read people to quickly. You do not handle criticism well and are usually good at making sure your abilities are known. I guess you could call yourself a bit peculiar. You are a very witty individual. You like to be around people but also come off as a bit moody a lot of the time. You take most things too seriously and don’t really let others in properly. You are a bit scattered in more ways than one. You care far too deeply about your family and friends. You use them as an extension of you and do not differentiate. You work way too much and are not good at expressing yourself either. You have a lot that needs to be worked on. You are quite the challenging person. You come across as very social and are always talking to people you don’t really even know. You share far more than you should and also restrict yourself in ways you might not need to. While you tend to be quite lucky you also hold yourself back a lot. You are a very understanding person. You spend a lot of time on your relationships and allow a lot of your life to revolve around other people. You always treat people well and take responsibility for your own actions. You are a great role model for most everyone. You struggle with maintaining your true self. You are easily influenced and because of this, you end up missing out on a lot. You do not share your feelings but do come across as hypercritical. This kind of thing really doesn’t make you look good. You are a very ambitious person that loves to talk business. You are very persuasive and it shows. You love to spend your time organizing things and really pay close attention to details. You are not someone anyone can bring down. You are the kind of person that never knows what is going to happen next. You are always getting into different things and never truly settling down. You don’t know what you want in life or where you want to end up and it has you all kinds of frazzled. You spend a lot of your time traveling and changing. You far too often allow yourself to become isolated. You are very determined and always working on getting further in life. You don’t realize how important the people in your life are until they are ready to make their exits. You are a very impressionable person. You tend to take the things others are going through just as hard as they do and it sometimes takes a lot out of you. You do not know how to close yourself off properly and it can be quite frustrating from time to time. You need to find balance but are not sure how. You struggle with focusing on things that need to be done. You tend to put your all in the things that do not matter. While you are full of passion you do not know what to do with it. You are someone that loves people and success but rarely ever finds what he or she is looking for. You are able to talk deeply about any topic. You listen to your intuition and allow it to guide you in the direction you need to go. While you might not let people close to you, you do find comfort in those who have been by your side for long periods of time. You can be quite confusing but overall you are a very positive individual. You love change and are always going through different phases. Your life is not as simple as that of most people and it can really make things confusing. You are a very skilled person that really goes above and beyond. You are the kind of person that has to be active, you do not like being cooped up inside. You are a very emotional individual. You struggle with criticism and never sure what direction you’re headed in. You tend to make your emotions out to be more than they are and usually become quite disconnected from the world around you. You are a very conflicted person. You are always looking at life in a way most others do not. You do your best to get things done and are always taking things that most others would not into consideration. You do not often share your feelings and prefer to look at facts rather than possibilities. You are a very challenging person. You don’t make realistic goals and always fall behind. You expect way more from yourself and others than you should. While you are confident, you need to rethink things. You are really good at telling other people what to do. You are always guiding them in the right direction whether they take your advice or not. You are not the kind of person that likes to let go and you always find a way around the things that pop up to close you off. You remain calm even when you shouldn’t. You are a very peculiar person that loves to take risks. You are always thinking outside of the box and doing things other people wish they could. You do not let anyone hold you back and are always coming up with amazing plans. Life is like your playground and you are having a ton of fun. You are a very spiritual person. You trust in yourself and know that in the end, everything will be as it should be. You are highly intuitive and very linked with the universe. You know just how connected we are to the world around us and you think it is marvelous. You are the kind of person that faces a lot of ups and downs. You never know what you want and always try to obtain things that in the end don’t make you happy. You are a mess but also quite full of life. You spend a lot of your time writing or doing other things of the sort. There are things within you that others just wouldn’t get. You are a very family-oriented person. You take care of yourself and the people who matter to you but that is it. You pay close attention to detail and are never afraid to speak your mind. You are one of those people that others know not to bother.